I put off reading this book for months. I loved the first book so much and I couldn’t dream how Arden could pull off a second book that was anywhere near as good as the first. At some point, I finally knew I could put it off no longer, so I pulled out the first book again and did a reread. Oh. My. Gosh. I loved it even more the the 2nd time, so my anxiety (yes I sometimes have anxiety over books….don’t judge me for that I won’t judge you because you don’t! #justsaying). I forced myself to start this book. 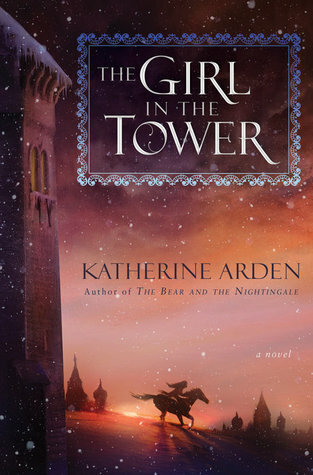 I just want to be one of those crazed fans and run out and meet Katherine Arden and thank her for the beauty she has brought into my world. For making me believe…well…in all the wonderful things this book brings to me…that magic does exist….that love is the greatest gift…that there are those that will sacrifice anything for the right cause….that loyalty can’t be bought…nor sold…that kindness matters…the list goes on and on….and honey oat cakes…I want to bake her honey oat cakes over an open flame…and FFS I don’t even know what those are!!! I fell in love with the first Book too, and don’t know if this one could possibly be better. Turns out, it was absolutely amazing. Great review!